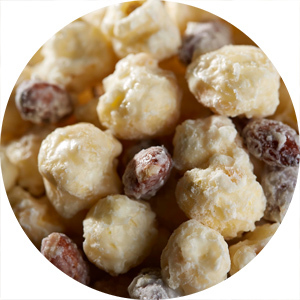 Whether it is freshly popped, lightly salted natural popcorn; our plump kernels of cheesified goodness or our fudge-dipped creations, popcorn is one of America's favorite snacks! 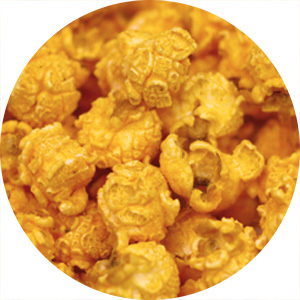 At Rural Route 1 we grow only the most tender & tasty varieties of popcorn and use only the FRESHEST & FINEST ingredients to create some of the most unique and amazing popcorn snacks you will ever experience. WE ARE THE POPCORN FOR POPCORN LOVERS! Tender kernels of locally grown popcorn, perfectly popped in pure coconut oil & sprinkled with just the right amount of salt to enhance the flavor of the corn. 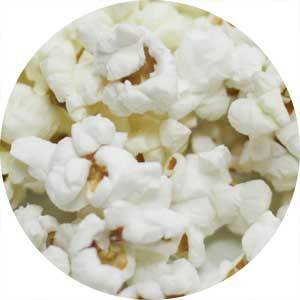 A true popcorn lover's ultimate snack! It’s crisp. It’s crunchy. 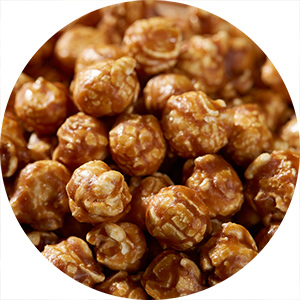 Real sweet cream butter and natural brown sugar give our caramel popcorn a rich, melt-in-your-mouth taste you are sure to love. 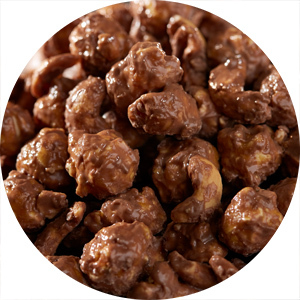 An undeniably unforgettable blend of fresh roasted pecans with a richer, more buttery version of our classic Caramel Corn recipe. Deluxe perfection indeed! 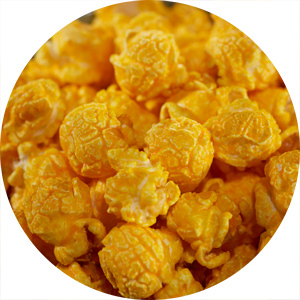 Our freshly popped, locally grown gourmet popcorn is blended with savory Wisconsin cheddar cheeses. A supreme treat for the cheese lover in all of us! Wildly popular, deliciously cheesy, & delightfully hot. We kicked the tastiness of our cheese popcorn up notch with spicy jalapeno. One bite & you'll understand why so many love it. 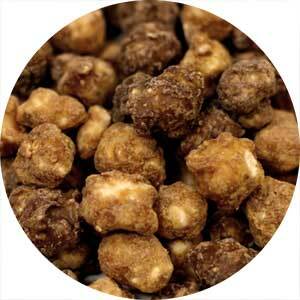 A sensational blend of sweet, crunchy popcorn & lightly roasted almonds covered in creamy white fudge. It's simply irresistible. What's K'not to love?! 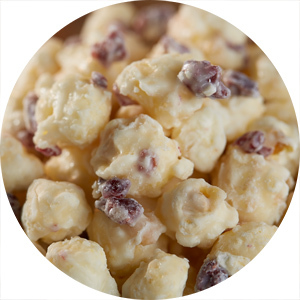 Luscious white fudge meets sweet, raspberry kissed popcorn & tart cranberry bits - an undeniably perfect match! Expect love at first bite. 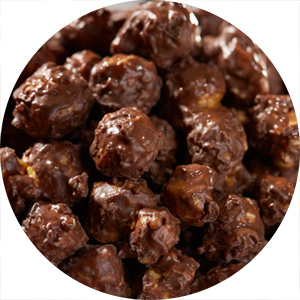 You will fall in love with our rich, buttery caramel corn & fresh roasted cashews smothered in milk chocolate fudgy goodness. Some call it a snack, but others insist it's a dessert. You decide. 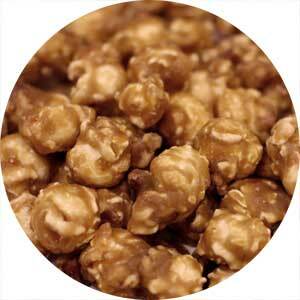 Our crisp, buttery caramel corn dunked in creamy chocolate fudge & sprinkled with a splash of sea salt. Oh yes, you are going to love this decadent treat.